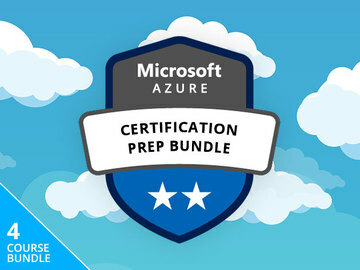 The Complete Microsoft Azure Certification Prep Bundle 2019 has four courses that will help you prepare to for the Microsoft Azure certification tests AZ-100, AZ-101, AZ-203, and AZ-300. You'll learn how to implement Microsoft Azure infrastructure solutions, how to migrate servers, hot to manage hybrid identities, and much more. The bundle is on sale for $19.